Episode Publishers, The Netherlands, 2009. 144 pp., Extensive color illustrations, 9¼x12½". 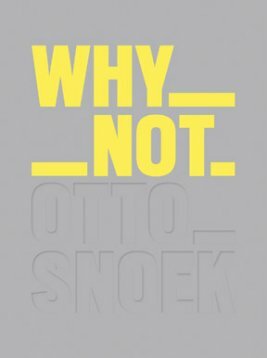 The compelling and often hilarious work of Dutch photographer Otto Snoek explores the relationship between the promise and usually unsatisfying reality of urban life and mass culture, as evidenced during festivals, soccer games and parties throughout the city of Rotterdam. This large-format collection of color and black-and-white photos is brought together under an embossed hardcover binding. The images betray humanity’s vanities and compulsions, with strange compositions that catch people in unflattering expressions and moments. 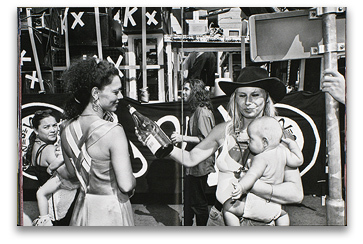 Snoek unerringly exposes the increasingly commercial character of urban life. University of Rotterdam philosopher Henk Oosterling includes an essay that riffs on high-tech connections versus public disconnection. Read Aline Smithson's review of Why Not on photo-eye's Magazine.